What duty does a receptionist in A&E owe a person who attends seeking medical attention in providing information about the likely wait in being seen? The Supreme Court in Darnley v Croydon Health Services NHS Trust  UKSC 50 was concerned with a man who attended A&E following a head injury and was told by the receptionist that he would have to wait for up to 4 or 5 hours to be seen by a doctor. Feeling unwell, after 19 minutes he decided to go home where a little over an hour later he collapsed. Despite surgery he suffered permanent brain damage which would have been avoided had he collapsed while in hospital. He was not informed by the receptionist that he would have been seen by a triage nurse within about 30 minutes of booking in at A&E. The trial judge found that if he had been told that, he would have stayed and would have been seen by the triage nurse. He would then have been admitted or told that he should wait, and in those circumstances his collapse would have been in hospital. His decision to leave was in part at least made on the basis of the information provided by the receptionist which was inaccurate and misleading. The judge also found that it was reasonably foreseeable that patients do leave A&E without being seen or treated and that in such cases harm may result and that it was reasonably foreseeable that someone who believes it will be 4 or 5 hours before they are seen by a doctor may decide to leave in circumstances where they would have stayed if they believed they would seen much sooner by a triage nurse. Reversing the decision of the trial judge and the Court of Appeal on liability the Supreme Court held that this situation came within the well-established duty of care owed by those providing and running a casualty department to those presenting themselves complaining of illness or injury and before they are treated or received into care in the hospital’s wards to take reasonable care not to cause physical injury to the patient. By booking in the patient, he was entered into a relationship with the hospital. The duty included a duty not to provide misleading information which might foreseeably cause physical injury. The duty was owed by the hospital trust and it was not appropriate to distinguish between medical and non-medical staff. The receptionists on duty at the material time were both aware of the standard procedure under which someone complaining of a head injury would be seen by a triage nurse within 30 minutes. The patient was misinformed and therefore misled as to the availability of medical assistance. That was negligent, that is it fell below the standard to be expected of an averagely competent and well-informed person performing the function of a receptionist at a department providing emergency medical care. Give the trial judge’s findings relevant to causation, that negligence caused injury because in the absence of the negligence the patient would have stayed in the department, collapsed in hospital and been treated with the likelihood of a near complete recovery. The patient’s decision to leave did not interfere with that causation and was based in part at least on the misleading information provided by the receptionist. It took the Supreme Court to put right the trial judge and the majority in the Court of Appeal, who were concerned at adding an additional layer of responsibility on clerical staff, and creating a new head of liability for NHS trusts, and concerned about ‘undesirable social consequences’ were the duty imposed on emergency departments. 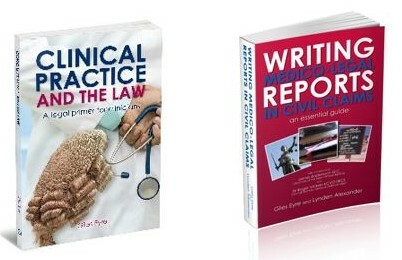 But the Supreme Court decision was in fact only applying established legal principle and established legal duties on the Trust because there is a well-established duty of care owed by those providing and running a casualty department to those presenting themselves complaining of illness or injury and before they are treated or received into care in the hospital’s wards to take reasonable care not to cause physical injury to the patient, and therefore not to provide misleading information. It would have taken little by way of instruction to ensure that the misleading information in this case was not given by the receptionist, with its foreseeable and disastrous results.